Valve Files for “Half-Life 3” Trademark in Europe; Could it Finally Happen? 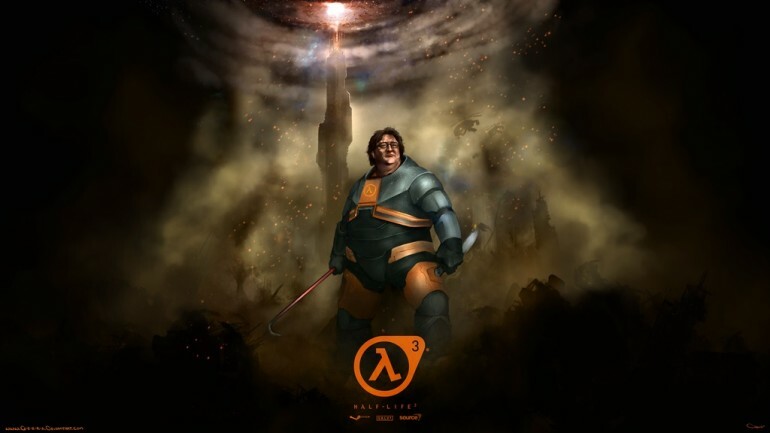 We all know the drill: any and every Valve announcement will trigger a theory of some sort that leads to the eventual announcement that Valve will indeed release “Half-Life 3”. From the recent Steam Summer sale to an Easter Egg within “Surgeon Simulator 2013”, it has become something of a running joke among fans of the series, where everything can be deduced to “Half-Life 3”. But this may be the clearest indication yet of the game that may never be: on September 29, Valve filed for a trademark in Europe for, you guessed it, “Half-Life 3”. Under the filing’s classifications, Valve has listed that “Half-Life 3” as a “computer game software, electronic game software, …, video game software”. On top of that, a member on NeoGaf also found “Half-Life 3” references within Valve’s bug tracker. The original trademark filing was also first found by a NeoGaf member. The result? The post went viral on Reddit, flooding NeoGaf with traffic and eventual 504 errors. Then again, it could also very well be Valve protecting the precious “Half-Life 3” name from being exploited by other parties…especially if the game is not being developed. Then again, we want to believe.